Here’s your chance to hang with Will Smith at his bungee-jumping 50th birthday celebration… and support his passion for education. omaze.com is giving you the chance to hang out with Will and his family and watch as he bungee-jumps from a helicopter over the Grand Canyon. You’ll also be able to take a selfie with Will, and FaceTime a friend while hanging out with Will. All you have to do to get in the draw is visit omaze.com and donate to charity. The more you donate, the more chances you have to win. 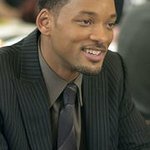 Will Smith’s personal mission is to improve the lives of others. And it’s not just about the end goal, but everything along the way. He’s continually working to ensure that every project he works on aligns with this higher purpose (yes, including heli-bungee!). Will believes that every child should have access to the transformative power of education, which provides the chance to thrive, live and succeed. All donations will go to The Will and Jada Smith Family Foundation and be distributed to Global Citizen to support their ongoing advocacy work on education and Education Cannot Wait, a global initiative that provides 75 million children in crisis-affected areas access to education.